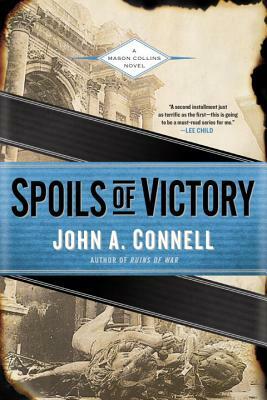 From John A. Connell, author of Ruins of War, comes an electrifying novel featuring U.S. Army criminal investigator Mason Collins, set in the chaos of post-World War II Germany. Garmisch-Partenkirchen is a scenic Alpine ski town that managed to escape the destruction of World War II. It is also a refuge for war criminals, a depository for Nazi stolen riches, and the latest post for army investigator Mason Collins. When a friend who fought alongside Mason tells him about a plot by a group of powerful men, then is killed soon afterward, it’s clear that Mason must make his investigation as quick and quiet as possible. To uncover the truth, Mason plunges into a shadowy labyrinth of coconspirators, including former SS and Gestapo officers, U.S. Army OSS officers, and liberated Polish POWs. John A. Connell is the author of Ruins of War, and has worked as a cameraman on films such as Jurassic Park and Thelma & Louise and on TV shows, including The Practice and NYPD Blue. He now lives with his wife in Paris, France, where he is at work on his third Mason Collins novel.